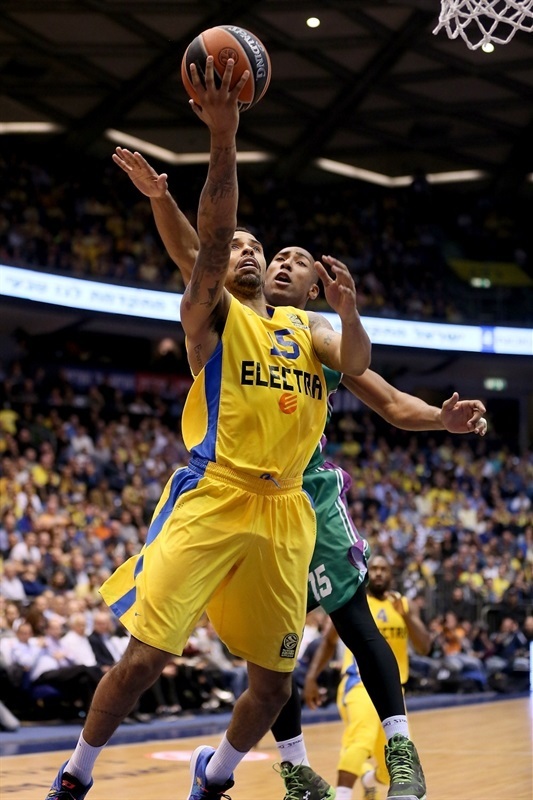 Maccabi Electra Tel Aviv finished the regular season with a hard-fought 81-73 victory over Unicaja Malaga in Group B. Devin Smith came up with a sterling performance with 22 points, 9 rebounds, 6 assists, 3 steals and 2 big three-pointers late in the fourth quarter, while Jeremy Pargo collected 16 points and Brian Randle added 10 points for Maccabi, which finished Group B with a 7-3 record and second place. The reigning champs made just 29 percent of their three-pointers and just 4-of-11 free throws (36 percent), but hit 57 percent of their two-point shots, while holding Unicaja to 36 percent shooting inside the three-point line. Malaga had already booked its spot in the Top 16, but could have secured third place with a victory, instead dropping its fourth straight game and sixth in the last seven games to fall to 4-6. Unicaja, which got 11 points from Jayson Granger and 10 from Caleb Green, can still finish third if Cedevita Zagreb win at ALBA Berlin. 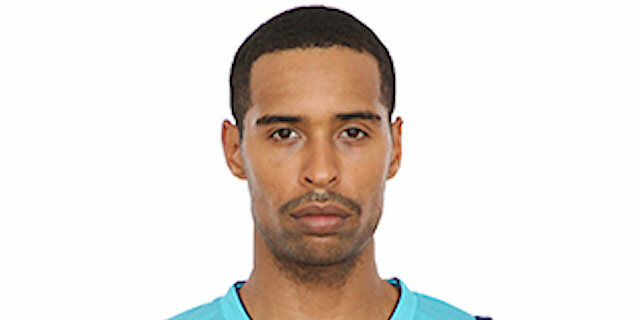 Otherwise Malaga will finish fourth in Group B.
Maccabi coach Guy Goodes made one change to his line-up with Alex Tyus starting instead of Sofoklis Schortsanitis alongside Yogev Ohayon, Pargo, Randle and Smith. Unicaja boss Joan Plaza swapped two players with Stefan Markovic and Kostas Vasileiadis coming in for Jon Stefansson and Granger into the starting five with Mindaugas Kuzminskas, Will Thomas and Vladimir Golubovic. 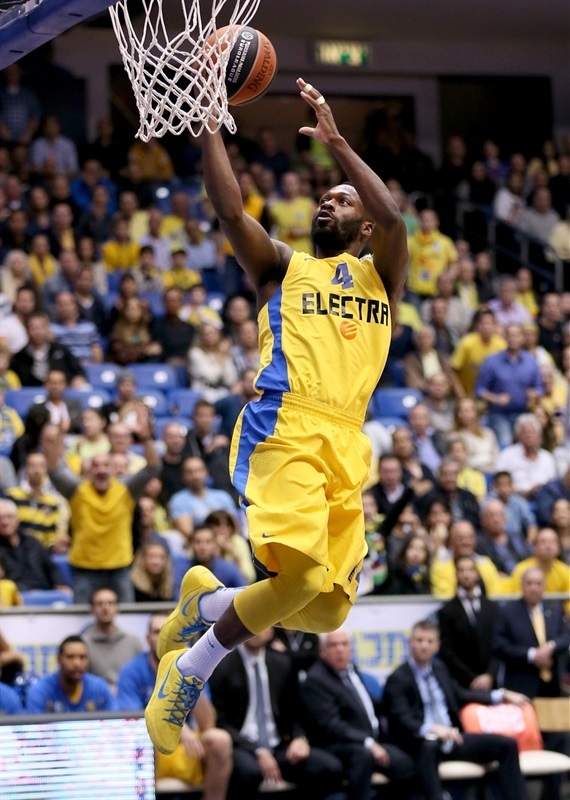 Maccabi came out like gang-busters with Randle dunking right off the opening tip. Smith added back-to-back three-pointers and Randle and Pargo followed with layups for a 12-0 lead while Unicaja could not get anything going offensively. Another Randle layup made it 14-0 before Ryan Toolson came off the bench to nail a three-pointer from the right corner with 5:33 left in the first quarter for Unicaja’s first points after missing its first 8 shots and turning the ball over 3 times. Fran Vazquez added 2 free throws for the guests before a dunk by Smith. 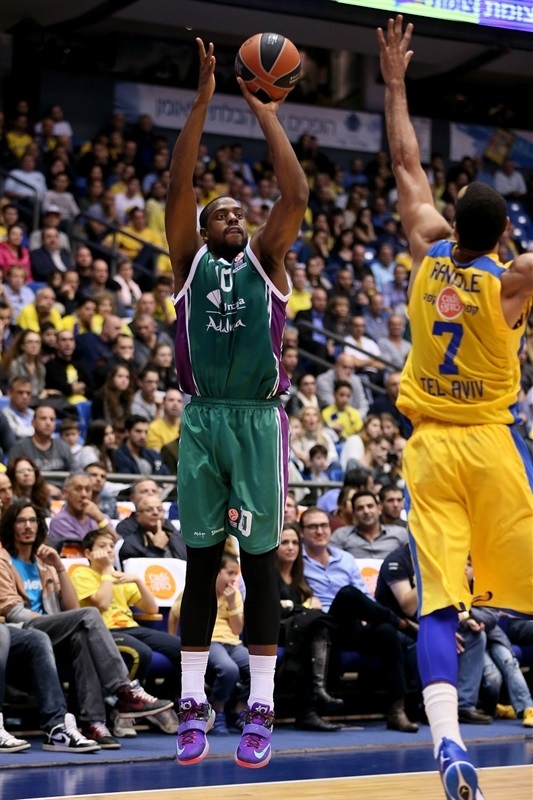 The Maccabi lead was 19-8 after Markovic and Marquez Haynes swapped three-balls. But Unicaja had found its way into the game with Toolson nailing a three-pointer and Carlos Suarez completing a three-point play before another basket by Toolson trimmed the gap to just 21-18. Schortsanitis proved too much to handle in the paint. After a previous basket, the big man hit a hook after an offensive rebound and then converted a three-point play for a 26-20 lead. Granger got a driving layup to cut the margin to 26-22 after one quarter. Maccabi was able to run early in the quarter as Smith hit a layup after a steal and Sylven Landesberg threw down a dunk on the break to make it 30-22. Golubovic got Malaga on the board with 2 free throws and followed a Granger three with a right-handed hook shot. Stefansson then came down and nailed a three-pointer from the left side to give Unicaja its first lead at 30-32. 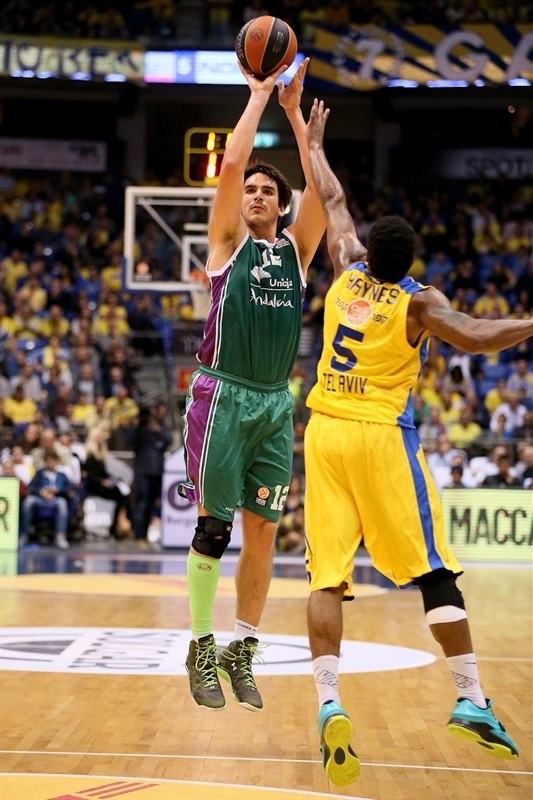 Landesberg stopped the 0-10 run before Thomas flushed in a miss for a 32-34 Unicaja lead. 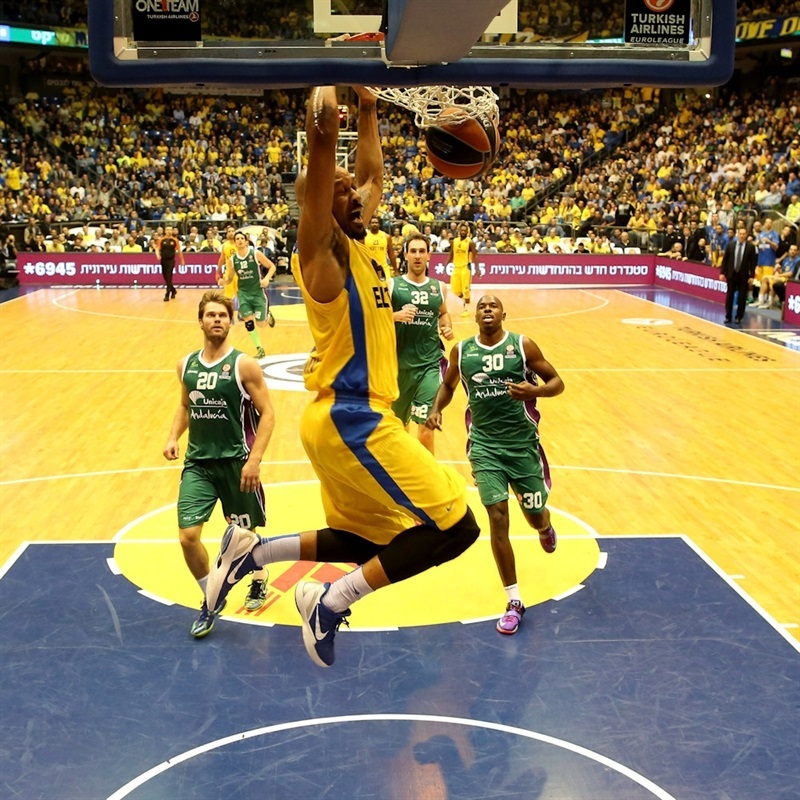 Maccabi finished the final two minutes of the half strong with Pargo putting in an acrobatic hanging twirling reverse layup to even it at 34-34. Ohayon followed with a layup and a three from the right side to push Tel Aviv ahead 39-34. 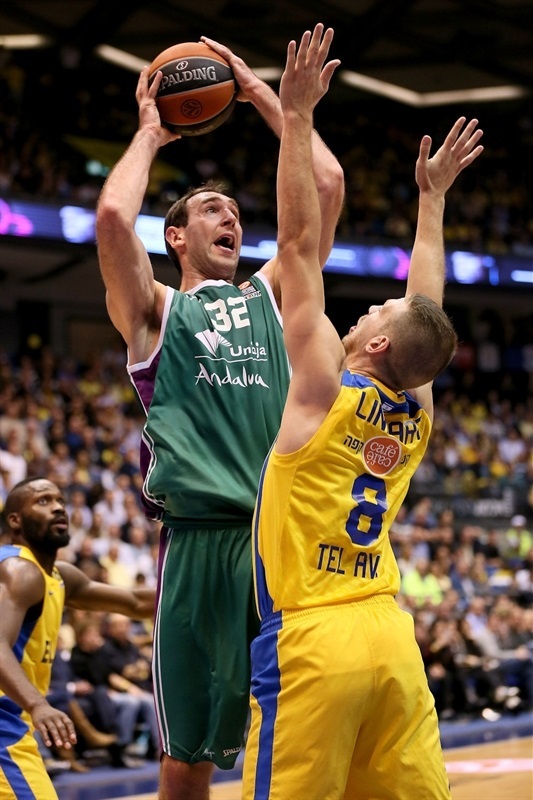 Nate Linhart’s layup had Maccabi up 41-36 before Mo Soluade’s free throw made it 41-37 at halftime. Unicaja opened the second half with a three-point play by Thomas and Randle got Maccabi on the board with a shot off the glass to make it 43-40. Unicaja knotted the game at 43-43 with Green stepping behind the line and nailing a three-pointer from the right wing before Kuzminskas free throws for a 43-45 lead. 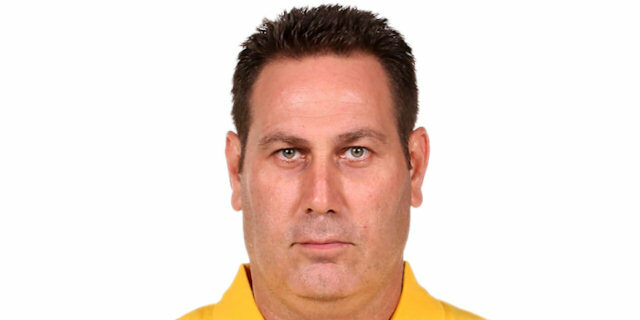 Pargo sandwiched two layups around a Tyus dunk off an Ohayon steal and Smith’s layup off the glass finished the 8-0 run for a 51-45 Maccabi cushion. Even though Golubovic stopped the spurt, Maccabi continued to get out on the break with Pargo completing a three-point play and Smith dunking after a steal by Randle for a 56-47 lead. Just like at the start of the game, Unicaja would not back down with Markovic and Granger hitting back-to-back three-pointers to get the guests to within 56-53. The lead was 58-54 after three quarters. Schortsanitis opened the quarter with a bucket, but watched as Granger hit a three to cut the gap to 60-57. But Landesberg answered right back with a three and Pargo’s basket had the hosts up 65-57. Golubovic put back an offensive rebound and Stefansson hit a jumper and a three-pointer from the left wing to bring Unicaja to within 66-64 halfway through the fourth quarter. Pargo got up for a dunk to make it 69-64 only to see Green knock down a three for a 69-67 ball game. 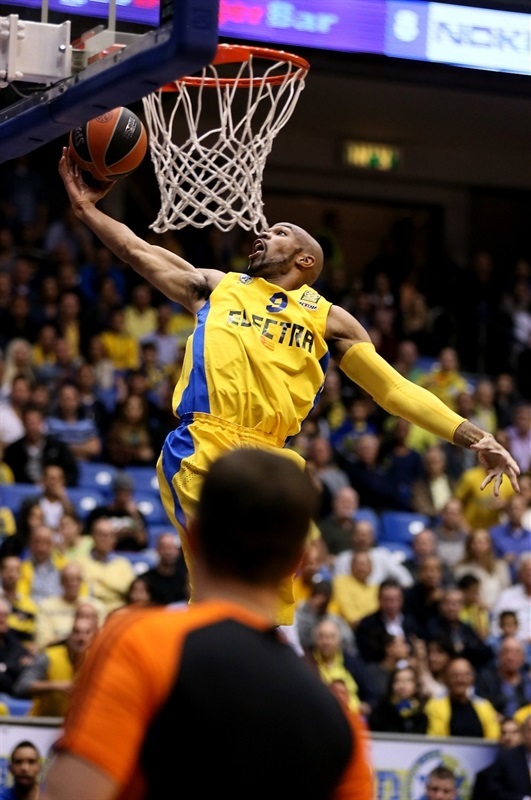 But Smith punched right back with two straight three-pointers and Haynes hit a layup as Maccabi opened a 77-67 lead with two minutes to play. Green was able to stop the bleeding, but the game was decided by then. 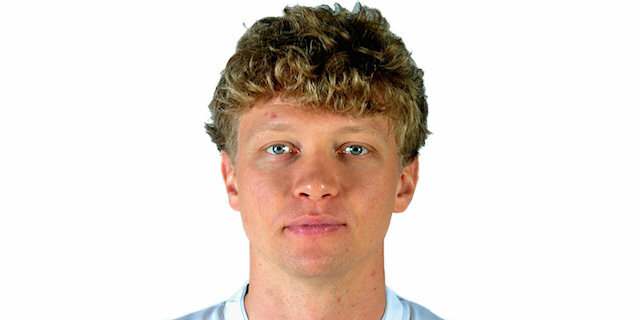 "It was the last game and it was important for us to win. We did a good [job] in the [regular season]. We won some difficult games away from home, but of course it is going to be a completely different story in the Top 16. But I think we are in the right direction. The guys are working hard and are all positive. It is going to be a very difficult group in the Top 16, in my opinion even more difficult than the other group. But we will fight hard like we have done all year and we are aiming to reach the Final Four. We are continuing to be satisfied with what we are doing. I see progress every day in the training. The important thing is the connection between the players. " "This is what happens as the season goes on. Guys get more comfortable playing with each other, we understand each other more and you are starting to see it. It takes some time for everyone to mesh, but I think it is really coming together; we are coming together as a team. We have got a great group of guys, we work hard every day. Being able to be compatible on and off the court is important and I think we are able to do that. These are the similarities we have to last year. We have got to continue to get better on the defensive end and continue to get better on the defensive rebounds. I feel like we gave away too many offensive rebounds and that’s what pretty much hurt us." "We started really badly and we didn’t do what we were talking about before the game. They are great with their fast break, especially with the double energy they have with their fans, who are amazing. So it is really tough to get back when you are 14-0, but we did it. All the game they were up, but we didn’t give up - in the end they showed they were better. We just let them score a couple of easy threes, we didn’t box out too much and we had a lot of problems today. We didn’t play our best game. 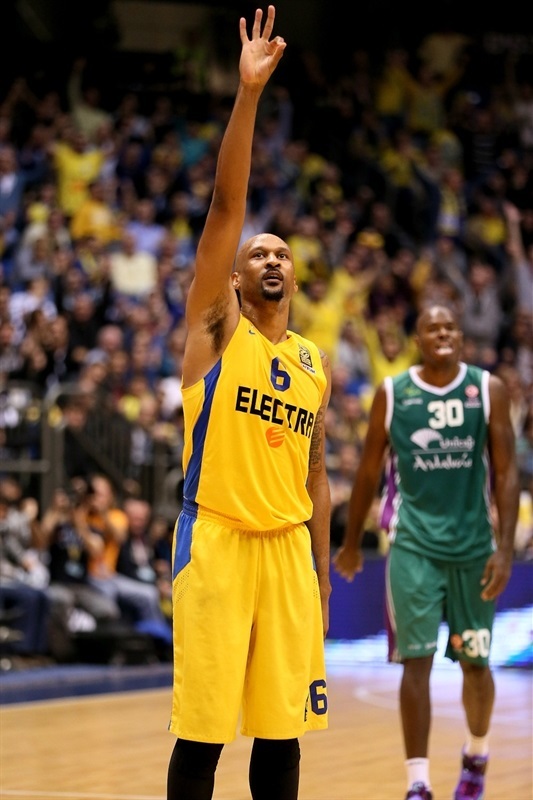 Also Maccabi didn’t play their best game. Today they were better. 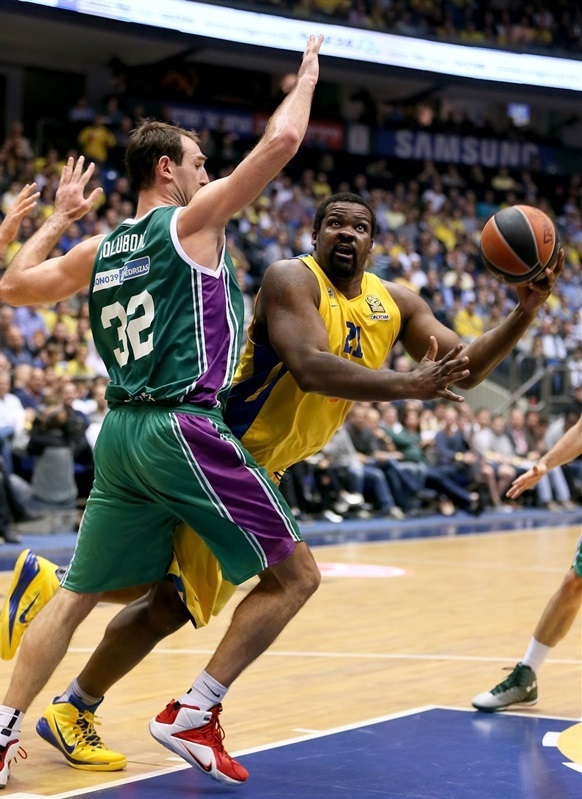 We knew we were playing against the Euroleague champions, so to win in Tel Aviv is very hard."